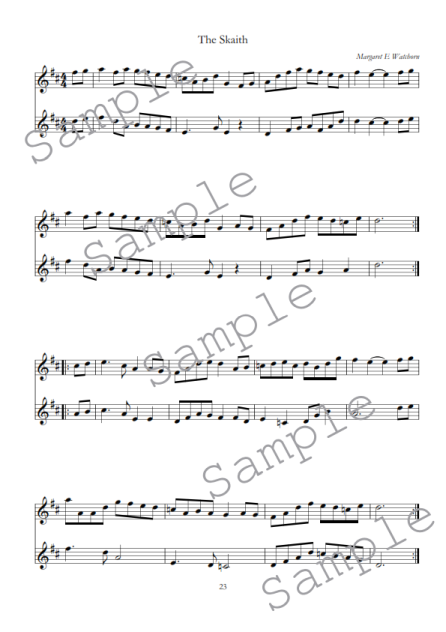 Margaret has produced a book of 52 tunes with harmonies for pipes and other melody instruments. You can see sample pages below. 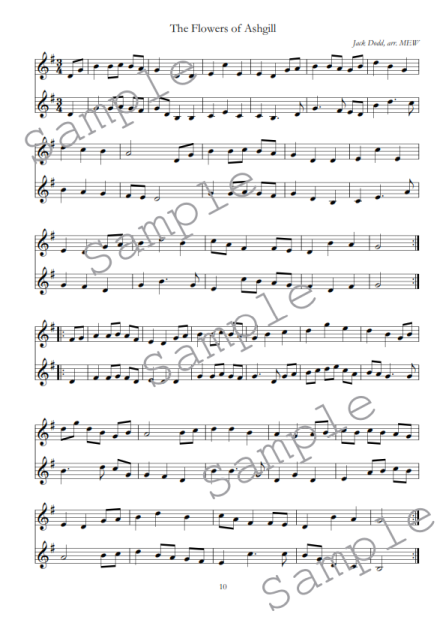 To celebrate a special event or occasion, or as a special gift, tunes can also be commissioned and written especially for you. A collection of 52 tunes written or collected by Margaret, including compositions by her father, Jack. Many other gems come from previously unpublished sources. 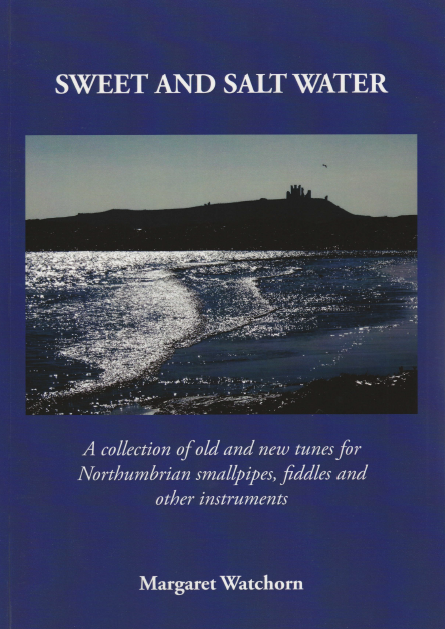 All tunes are suitable for playing on the Northumbrian smallpipes, fiddle and other melody instruments. Sensitive harmony lines make this an ideal book for solo players, duets or groups of musicians. £12 cost includes postage and packing within the UK. To order a copy, contact Margaret via our contact form. Please select a tune from the options below to see a sample. 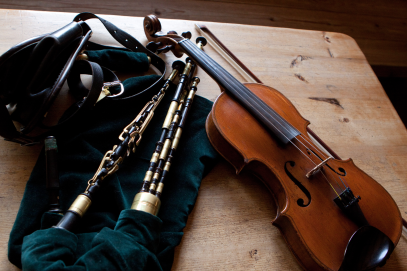 Why not commission a traditional style tune for a special event? Margaret will create a tune especially for you. You can suggest the title, the style and mood of the piece and add a dedication. 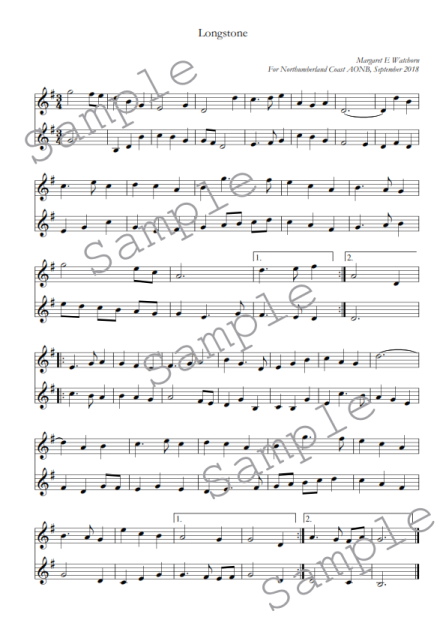 If you wish, Margaret can also compose a harmony line to enhance the music. Previous clients have commissioned tunes for birthdays and anniversaries; recent requests include two tunes to celebrate the 60th anniversary of Northumberland Coast AONB. To find out more about commissioning a tune, please contact Margaret via our contact form.